Loaded * Massive Factory Warranty * Incredible Mpg * Comfort & Safety * Unsurpassed Longevity! 14,772 Orig. 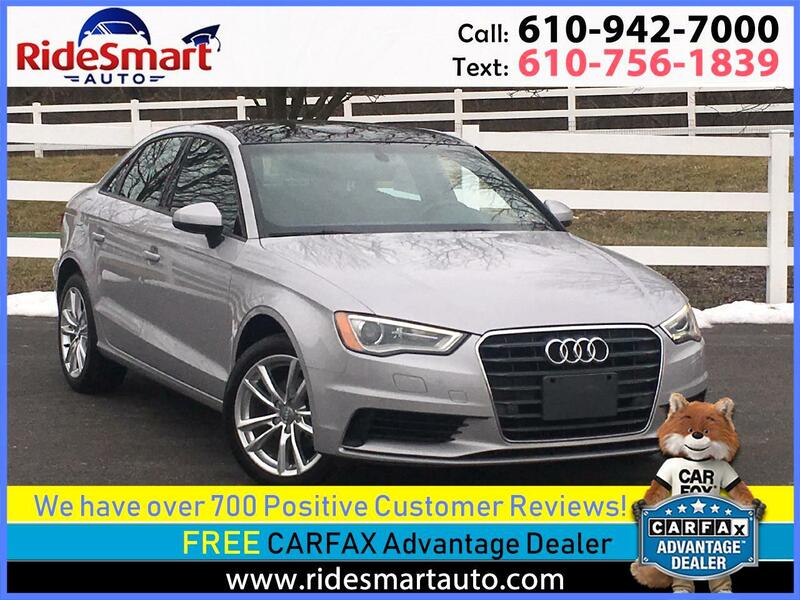 Miles, Carfax Certified (Accident Free) - 100% Spotless 2015 Audi A3 TDI Premium * Lane Assist * Massive Factory Warranty * Incredible Mpg * Supreme Comfort & Safety * Unsurpassed Longevity! 2 Keys * Books * Floor Mats * New PA Safety Inspection. Just Like Brand New! Warranty Description: Original Warranty: Estimated Remaining Coverage: Basic 48 months or 50,000 miles / 6 months or 35,228 miles Drivetrain	48 months or 50,000 miles / 6 months or 35,228 miles Emissions 96 months or 80,000 miles / 54 months or 65,228 miles Corrosion 144 months or unlimited mileage / 102 months or unlimited mileage. Audi-VW TDI Extended Warranty.